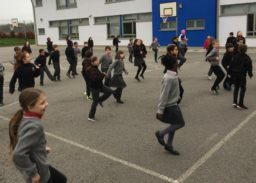 The Active Flag was awarded to us a few years ago to acknowledge our work on promoting a healthy and active lifestyle in the school. This year we are working on renewing our flag. 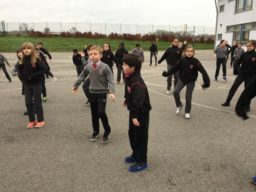 Ms. Marren has circulated charts to all classes where we mark the activities carried out each day. 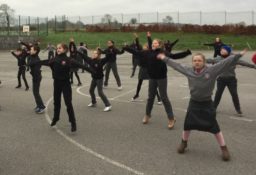 A huge variety of activities and exercise can be seen in the school each day – this ranges from dance to athletics to games and much more. 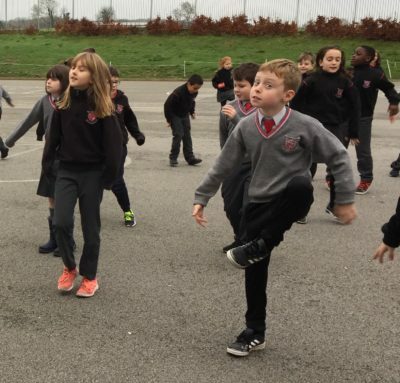 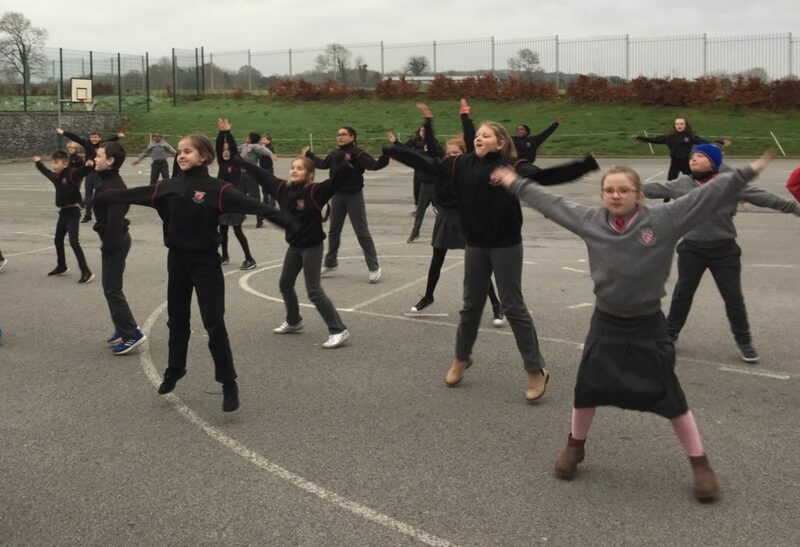 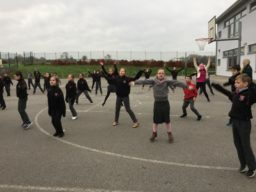 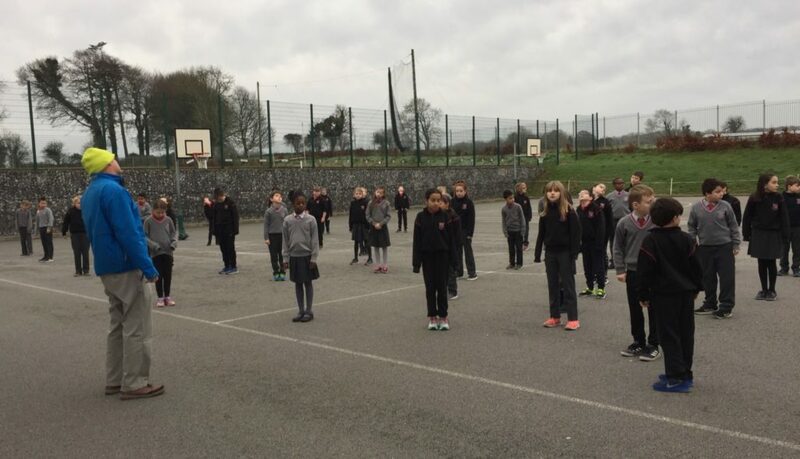 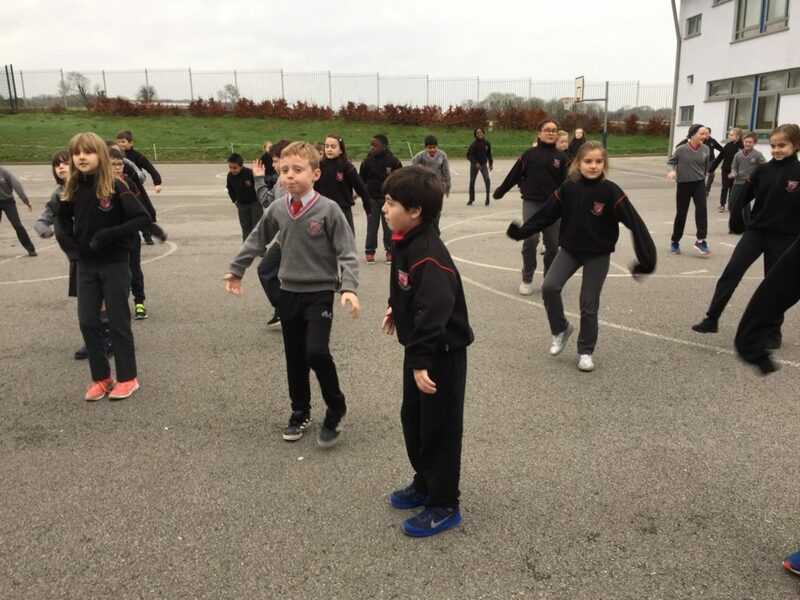 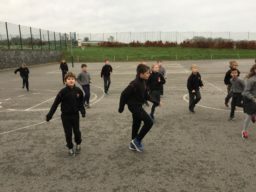 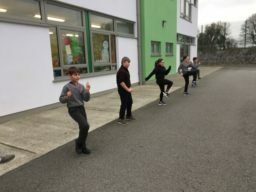 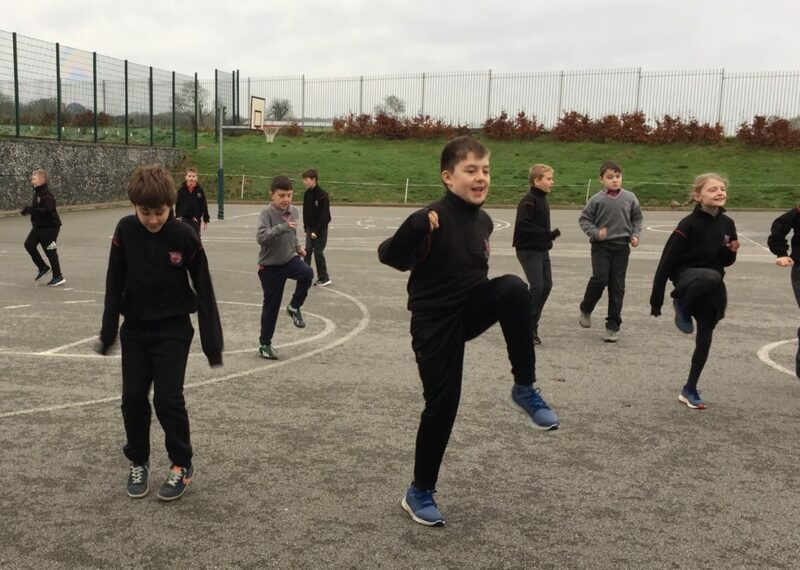 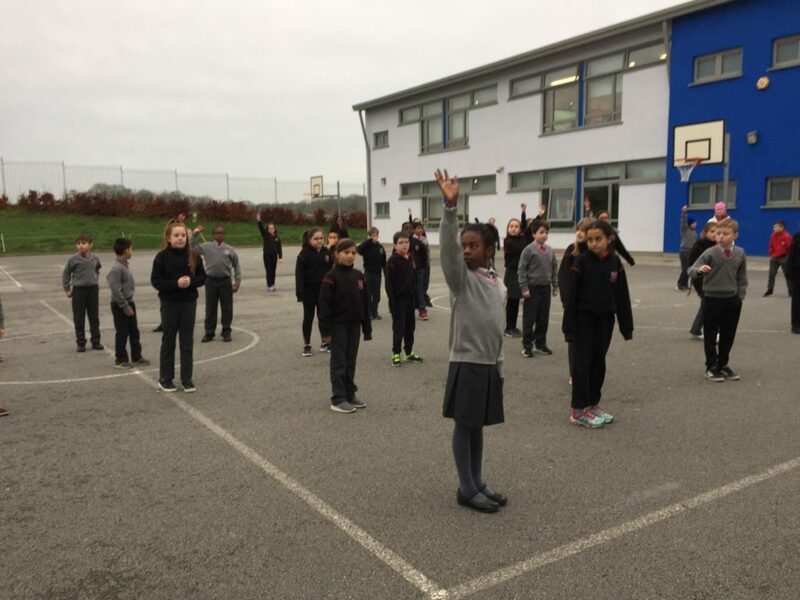 Featured in our photos here are our 4th classes who decided to warm up on a chilly morning with 10@10 – ten minutes of exercise at 10am. 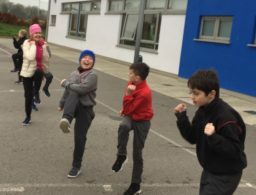 Mol an Óige agus tiocfaidh sí!